“A group of students from North and East Kurdistan, Turkey and European countries have launched a book campaing for Mesopotamia Academy of Social Sciences established on 2nd September in Qamişlo city of Rojava (West Kurdistan). 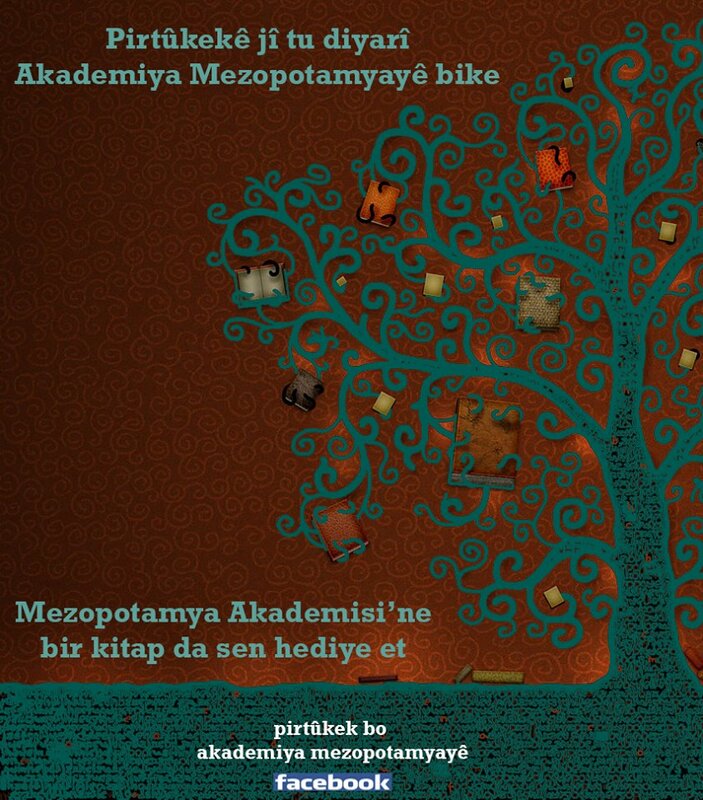 Related to the campaign, the students have created a facebook page called “Pirtûkek bo Akademiya Mezopotamyayê – Donate a book to Mesopotamia Academy” and released a statement about the campaign. The students say they accept books in all languages, all areas and all levels. The donators can send their books to the addresses provided in their announcement. With the aim to establish a multilingual library for the first Kurdish university in Rojava – Mesopotamia Academy of Social Scienes – which was opened on 2nd September 2014, we, as a group of students from North Kurdistan, Turkey and Europe, are launching a book campaign. Our aim is to collect books in every language and from everywhere which will be donated to Mesopotamia Academy to establish a multilingual library. People from abroad can join the campaign in two ways: (1) they can collect books in their located country and can send them via courier to the adresses given below or (2) they can buy books on the internet and send them to the adresses. The primary responsibilty is on the shoulders of students to raise awareness to the campaign. We call on everyone to support the Mesopotamia Academy of Social Scienes that aims to build an educational system based on democracy, freedom and equality. We believe that any aid sent to Rojava will contribute to establish day by day a free and common society and that the coexistence of Peoples will be strengthened.Since its establishment, the Democratic Autonomous Cantons of Rojava have made big efforts in this direction and raises hope to the peoples.